PFR80-440MLK are eccentric bushes which allow for geometry adjustment of the rear trailing arms on lowered vehicles. If you require this option you will need to purchase 2 x PFR80-440's and 2 x PFR80-440MLK's. 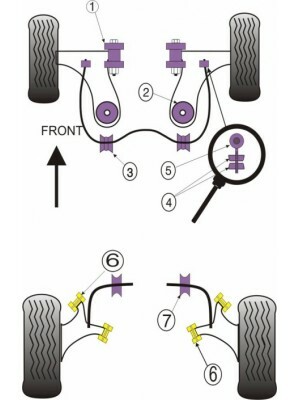 If you do not require geometry adjustment of the rear trailing arms, then you would need to purchase 4 x PFR80-440's.